Professor Jamie Hacker Hughes, 'immersed in the membership and our issues'. The observant amongst you [reading this in the print edition] will have noticed that there are no longer any Society pages in this issue of The Psychologist. We have decided that for anything to be published in the magazine it needs to satisfy the criterion of newsworthiness so as to justify publication in its own right. Similarly, there will no longer be a President’s column. Fittingly enough, a theme of this issue is the beginning of life and so this is the first of a series of regular monthly letters from your President. Whereas previous columns listed my many engagements during the month on the Society’s behalf, as well as highlighting activities taking place throughout the Society, the letter has the aim of engaging you the reader, alerting you to current issues important to the Society and its members and stimulating discussion and debate. Putting my letter in these pages does something else too. It says that the President and Trustees are not remote, often aged, authority figures about whom the membership know and understand little and vice versa. Instead, the President is immersed in the membership and our issues, interested and involved. I would like to believe that is true in my case. I certainly feel engaged: I’m two thirds through my time as your President and I have to tell you that I have never worked as hard as this in my life. The nature of the Society is changing, as part of its continuing process of evolution. Through the recent consultations and meetings of the Society in General Assembly, the Structural Review Group and the Board of Trustees, the Society is on the brink of the perhaps biggest change it has seen in many years. Following this autumn’s meetings we will all be working on a number of proposals to bring to March’s Board for signing off. There is a real will to move towards the formation of a democratic, proportionally represented, decision-making and policy-making forum, with a fast-acting and proactive executive arm, a four-nations policy structure and a Board of Trustees who expertly manage the issues of finance, governance and risk. There is a will, too, to have our ethics function seamlessly embedded throughout our structure, like letters within a stick of rock. Finally, there is a will for a huge increase in cooperation and collaboration between and across Sections and Divisions with the scope for joint conferences, CPD and training events and cross-Division and Section workstreams, either evolving naturally or mandated by the policy forum. In my view, there has never been a better time to be a psychologist, and I see this cooperation and collaboration as key in ensuring that our discipline and Society have the desired impact in the real world. But there is another perspective: that human behaviour is complex and that we should therefore be comfortable with presenting complex, conflicting perspectives. Personally, I feel we have to work together and minimise our differences to the outside world. What do you think? 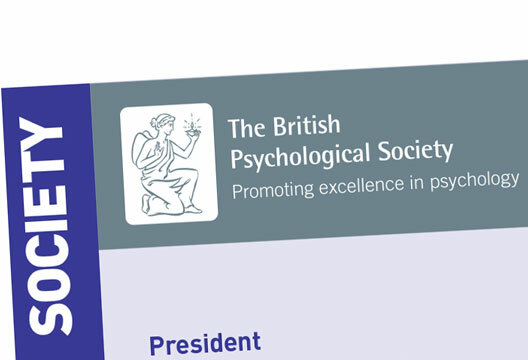 - Jamie Hacker Hughes is President of the British Psychological Society. Contact him at [email protected] or follow on Twitter: @profjamiehh.